Concrete Washout Systems - Lewis Concrete Inc.
Lewis Concrete, Inc. is a licensed provider of the patented Concrete Washout Systems (CWS). Our CWS license allows us to deliver the patented CWS technology to builders and contractors in the Metro Atlanta area. With our license, we are able to satisfy the growing need for convenient, clean, and affordable concrete washout services that comply with environmental regulations. 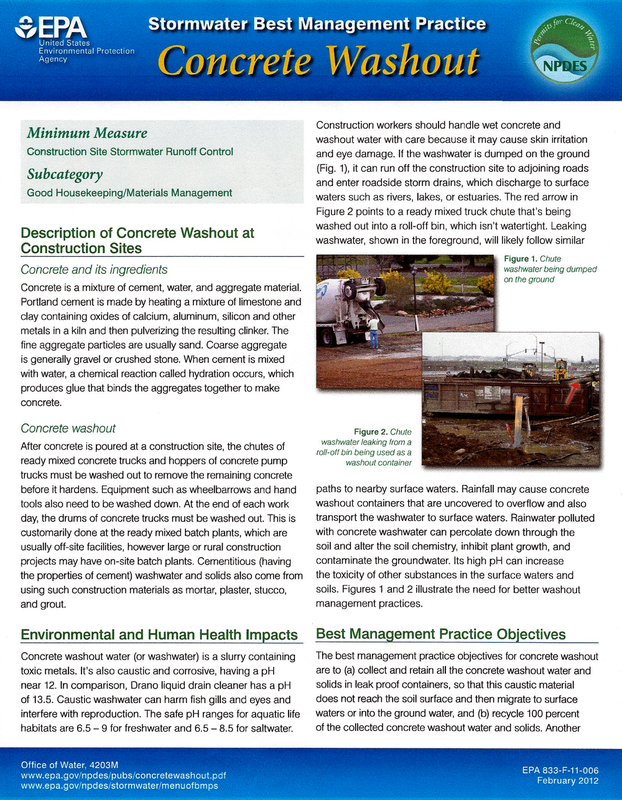 CWS address the overwhelming need for a safe, responsible and environmentally friendly alternative to the old worksite concrete washouts. Concrete Washout Systems is a safe, responsible, and environmentally conscious alternative to the old worksite concrete washouts. We understand that in order for our product to be competitive in the concrete washout marketplace, we must be sensitive to the environmental needs of where we work, travel, live and play. Whether you’re driving down the expressway or experiencing the great outdoors, our product may have an impact on your everyday life. We have developed a cost-effective and environmentally friendly alternative to concrete washout sites and we are striving to become the industry standard in the concrete washout removal and recycling industry. Click here to learn more about CWS. Click here to learn more about the EPA’s Concrete Washout Guidelines.